The family of a grandfather who became the victim of a distraction burglary have warned other residents not to fall victim to the scam. 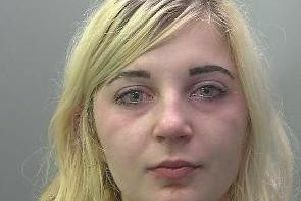 The grandaughter of the 86 year old said she was concerned about other vulnerable residents falling victim to the same con, after the thief took £200 from her grandad. Now police are also warning residents about the theft, after receving more reports about incidents. The victim’s grandaughter said: “My grandad lives in Arundel Road in Walton. He went to check his car at 9am on November 3. When he got back into his house, a man was already inside. “He said he needed to borrow £400 for a deposit on a gas cooker, and he needed the money as his partner was a nurse. “My grandad said he did not have that money on him. “He then said he was going to pick up his pension later, and the man said he would come with him. “My grandad then said he had £200. There was a new family who had moved in a few doors down, and he said he would lend him the money and come and pick it up later. His grandaughter said the man was described as being about six foot tall, English, and was wearing a brown hat. She added: “We put a post on Facebook about it, and other people posted they had had a similar expereince. Anyone with information regarding this incident should contact police on 101, call Crimestoppers, anonymously, on 0800 555 111 or visit www.crimestoppers-uk.org.